Mela Punjabana Da is started in 2016 and is in 3rd year now. 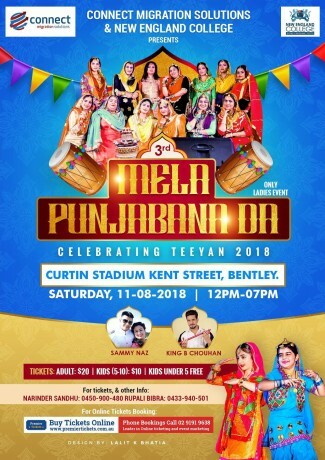 It’s one of the Perth’s Mega Events of the year that “Connect Migration Solutions” is organising for the third year after the huge success of MELA PUNJABANA DA 2016 & 2017, in order to celebrate TEEYAN 2018 on great demand for our lovely ladies. It’s a ladies event and the famous Indian Tradition. 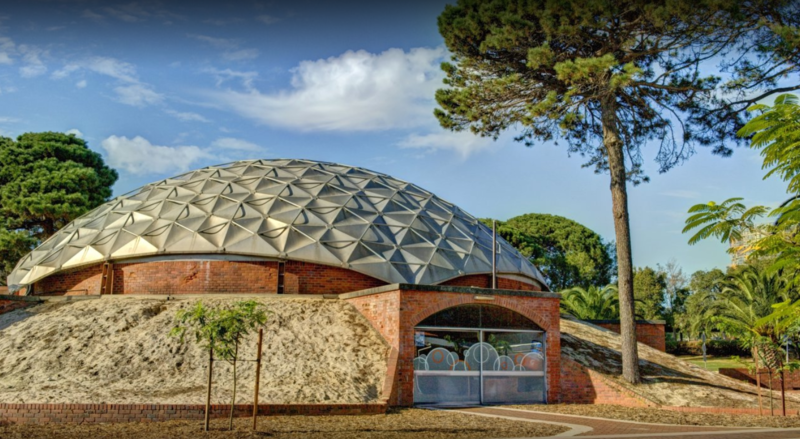 Teeyan is about happiness, prosperity and well-being. It is very pious and ominous festival for Indian Women where newly married and young unmarried women gather together to celebrate the beginning of rainy season, in the month of Sawan when the days of summer have grown longer and hotter, the dancing usually takes place on the bank of some river or pond under big shady trees. Swings are thrown over the branches and the singing, swinging and dancing starts to the melodies that fill the air (In India, especially Punjab). We are trying to keep the tradition alive as much as we can with our team’s efforts and support of our proud sponsors. Premier Tickets is an online event marketing and ticketing agency. 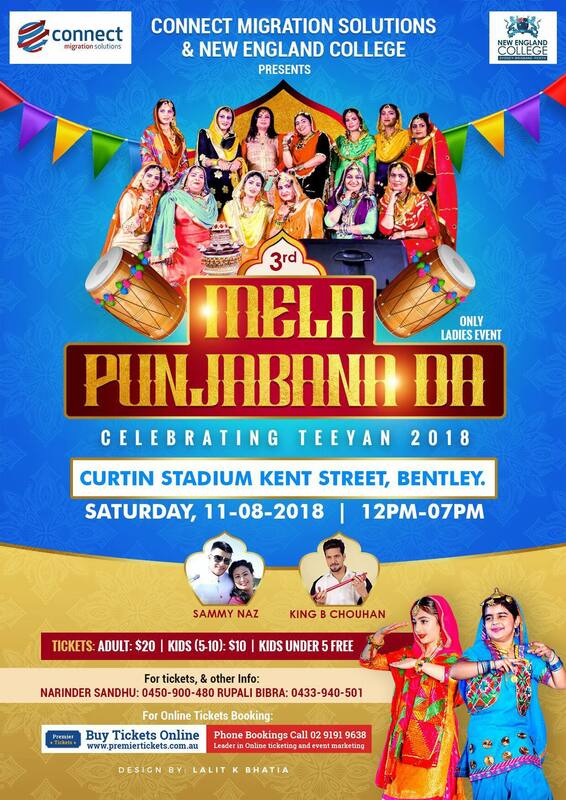 Premier Tickets will NOT be responsible for any changes related to the event schedule, artist, venue or cancellation and refunds related to the tickets for 3rd MELA PUNJABANA DA (Celebrating TEEYAN 2018).